Are you one of the many children and young people who are going on a family holiday to Italy? And are you passionate about football? Again this summer, we will open the doors to our popular football academies in Italy. In 2018, we offer academies on two destinations; at Lake Garda and in Lignano on the Venetian Lido. 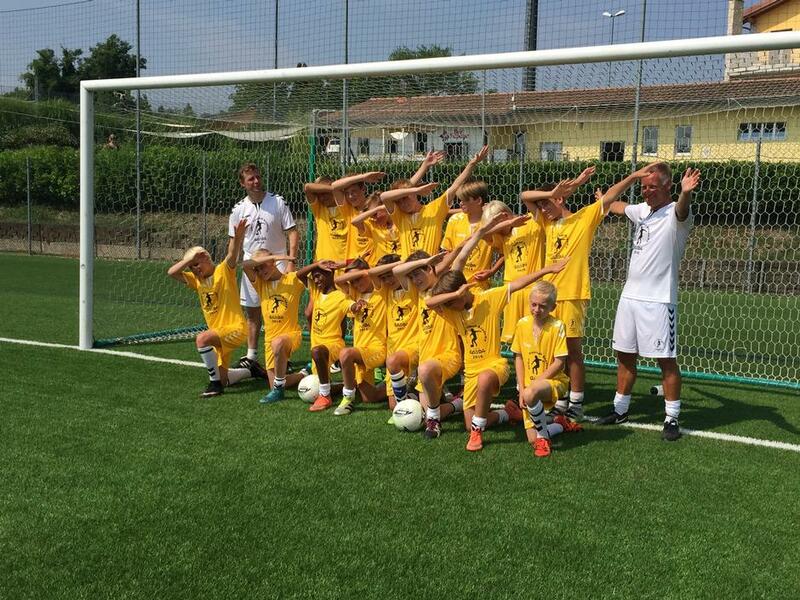 We will be running our summer football academies in Italy for the thirteenth season in a row. our long-standing partner, the five-star campsite Bella Italia, which in addition to offering accommodation at Bella Italia also offers accommodation at the Bella Group's other facilities; hotels, apartments, other campsites, etc., which are all situated around the town of Peschiera. At the Lido, your accommodation will be the Bella Italia Efa Village in Lignano, which is a wonderful tourism and sports resort. The football academies are reserved for guests staying at one of the Bella Group's facilities. With a team of Danish and foreign coaches, we offer you to participate at our Bella Italia Summer Football Academy from 9 to 29 July 2018 (weeks 28, 29 and 30). Children and young people (both girls and boys) between 7 and 17 years of age can participate at the academy. You do not need to be skilled at a specific level to register – everyone is welcome. Our experienced coaches are very good at differentiating the training to ensure that everyone develops in the course of the week. Click below to register. If you want us to do the registration for you, please call us on tel. +45 7020 0970.